Debra studied for her B.Arts degree at Beloit College, Wisconsin, U.S.A. and for her M.Ed degree at Bristol University, UK. She taught art at primary school level for many years. Recently she has devoted herself to her own artistic activities. 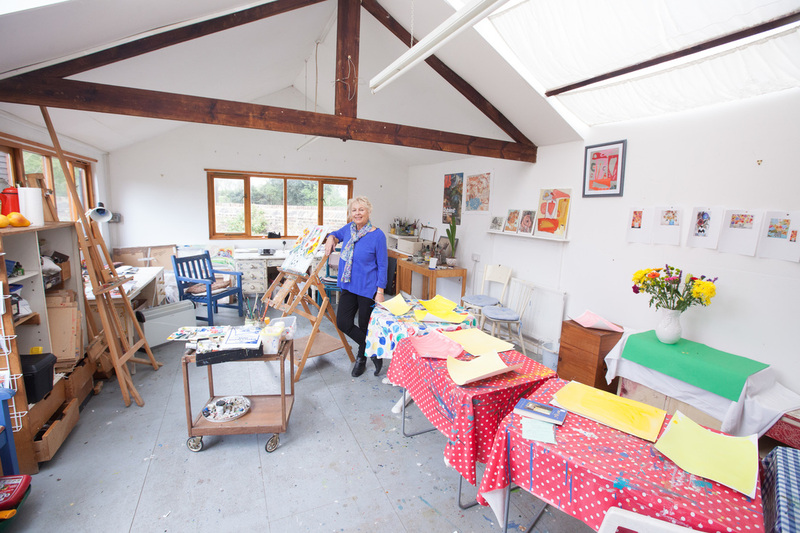 She is Area Coordinator for the Sevenoaks Area Artists taking part in South East Open Studios and having retired as chair, she now takes care of Public Relations for Sevenoaks Art Club. 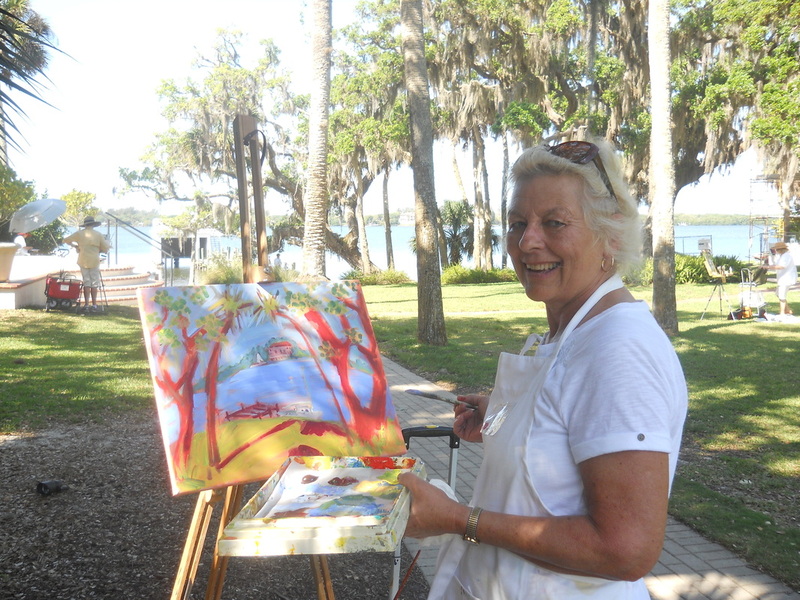 Debra has spent several months each year in Florida where she painted and exhibited on a regular basis. Her travels have also taken her to Lesbos and Paros in Greece. She came home with many lively paintings inspired by these beautiful islands. Debra's paintings are about colour, about marks making up shapes and getting something to happen visually. She strives for the playful, the exuberant and the uplifting. Subject matter focuses on beauties in the natural world, fruit, vegetables, flowers, trees, skies, animals and the human form. Continuing fascination with watercolour and ink has led to other mixed media "combos". Debra also works in oils, acrylics, gouache, inks and monoprints. Debra's favourite artist is Matisse. "Good colour sings, " he said. It is melodious, aromatic, never overbaked." 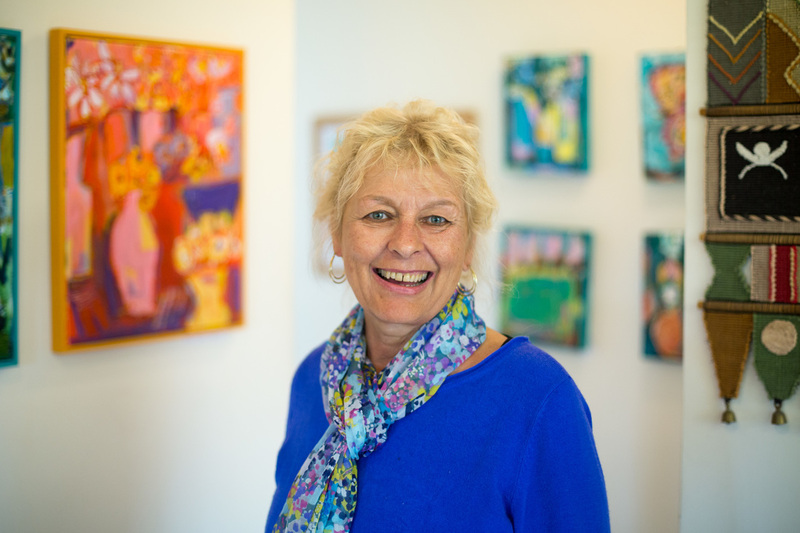 Her paintings can also be seen at the Kent Painters Group, Florum, Sevenoaks Art Club Annual Exhibition and the Visual Arts Centre in Punta Gorda, Florida. Portico Gallery in Riverhead, Sevenoaks also keeps a selection of her work.